The death of Debbie Reynolds, Los Angeles' ban on adults in playgrounds, and a 2016 playlist, in Slate's daily newsletter. Slate’s daily newsletter on the death of Debbie Reynolds, adults in playgrounds, and a 2016 playlist. 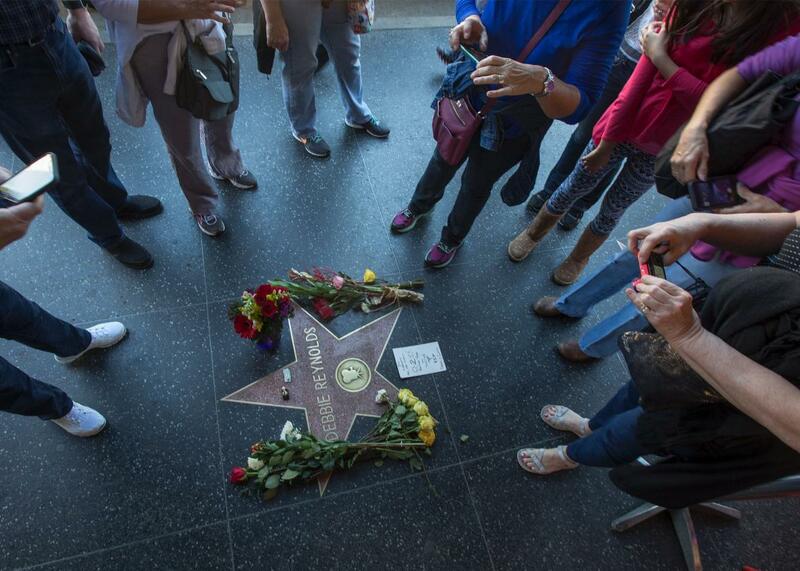 People photograph one of the Hollywood Walk of Fame stars for actress Debbie Reynolds on Thursday in Hollywood, California. Disliked: How can Democrats capitalize on Donald Trump’s unpopularity, and the unpopularity of the entire Republican policy agenda? Jamelle Bouie has some ideas. Kids only: Elissa Strauss looks at Los Angeles’ proposed ban on childless adults in playgrounds, finding only fearmongering and increased isolation for parents and kids living in a culture that segregates them from adult life. For fun: Carl Wilson’s 2016 playlist.